A little help from my friends. So, I am on a sewing bender. I have always wanted to find a few patterns and perfect them to fit my body and just keep making them. 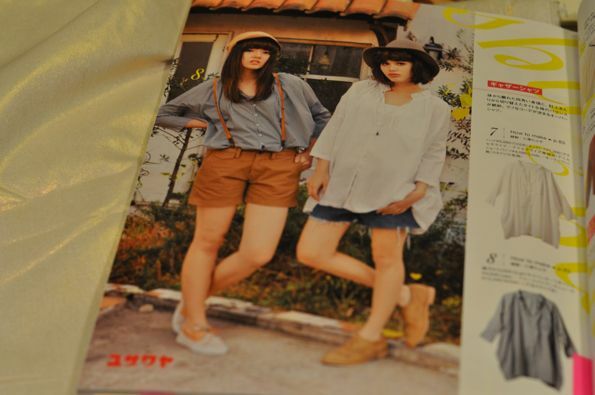 I like this blouse garnered from the pages of Female Magazine, but it has its faults. See those red dots? That is where the shoulder seams fall. It makes wearing the shirt sort of off-putting. This is a big boxy blouse. 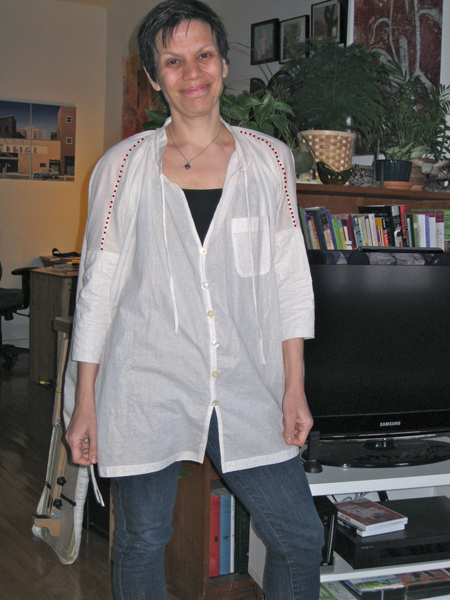 Or should I call it a huge boxy blouse? Does anyone know? Is there a way to fix this, or is it just that the pattern is so large that the seams need to go somewhere. I removed the collar, redistributed the excess cloth, made sure the shoulders were attached to the right snip marks and reapplied the collar. The above blouse fits much better than perviously and the seams hardly make themselves known compared to before. But. Help? I would even consider a creative idea like gathering up some tucks where the shoulder turns. Creative suggestions anyone? I keep talking about a sew along but not acting on it. Here is the reason. I am working like mad to get The Clever Guild, my teaching web site, up. 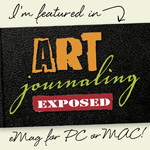 I am creating content, uploading how-to’s, and working like mad, behind the scenes. 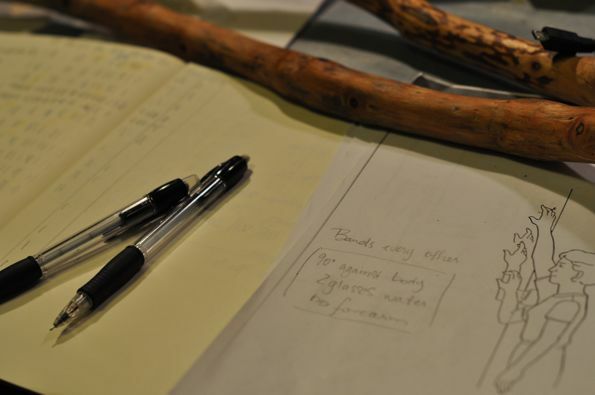 The site is almost together, and the workshops are almost entirely uploaded. Soon, I will have a few moments to breath and have some fun. 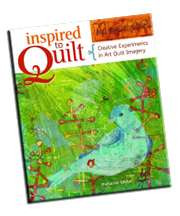 In the meantime, my new book is being shipped this week! I will post a paypal button (tomorrow) and sign a few copies if any of you would like to buy direct! 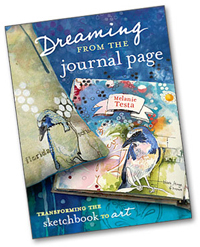 And my friend Victoria Findlay-Wolfe interviewed me about color and posted it to her blog today. Please check it out and tell her I said hello. P.P.S. I have been blogging in the last two weeks but forgot to categorize the posts properly, so you have not been able to read them. I was wondering why no one was commenting! Sew Along, Podcast and fun. I have been having so much fun sewing. A few of you have said you would join me in a Sew Along. 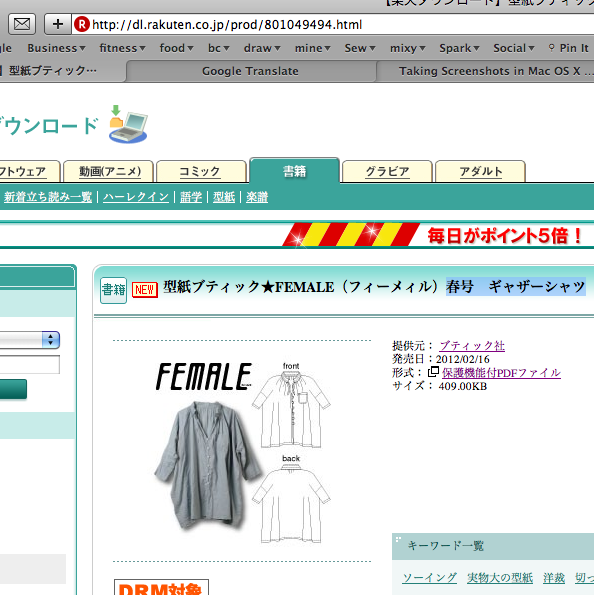 I have been looking for non-Japanese and FREE patterns. Dixie DIY is a GREAT web site and she has several patterns to download. Here is the link to the free Nano Iro (Japanese) patterns I mentioned before. Check out this cool, pretty tank style blouse called Sorbetto. And if you feel you need your tank top to have sleeves (huh? ), here is the additional sleeve pattern for that blouse. Look at what other people have done in making this blouse. And if you want to go all out and buy a pattern, buy it. I want to choose something simple and I want to surface design some aspect of it because that is my thing. Choose what works for you and lets have some fun. Ricë and I recorded a podcast on clothing and garments. I think it is a lot of FUN! Comment and let me know if you are up for a sew along! Earlier this week, I asked you to tell me how you began sewing. The comments are fabulous. I honestly think I was destined to work with my hands, I have always had an aptitude for it. I can close my eyes and visualize how something should go together. At a very young age, I remember my mom cutting a skirt pattern out, and I caught the fact that the plaid would not match up at the side seam. Also around that time, my mom had a friend who was into sewing and helped me make a vest. I sewed beads and trims by hand to the front border. It was meticulous work that I take pride in having done to this day. I am so glad I had Home Ec in high school, kids these days don’t even know about it! I am showing my age! I also think it is funny that so many of us who sew will hold onto a restriction, like fear of zippers and buttons. When I was given the serger I spoke of, I took lessons in how to use it. It is a scary machine, having 4 threads two of which stay on the top, two that meander through the inner workings of the machine. If one gets broken, it can be a tricky, fiddle-worthy event. The teacher looked at me and reminded me that I was working with a machine and that I was in control. That bit of advice has gone a really long way for me. 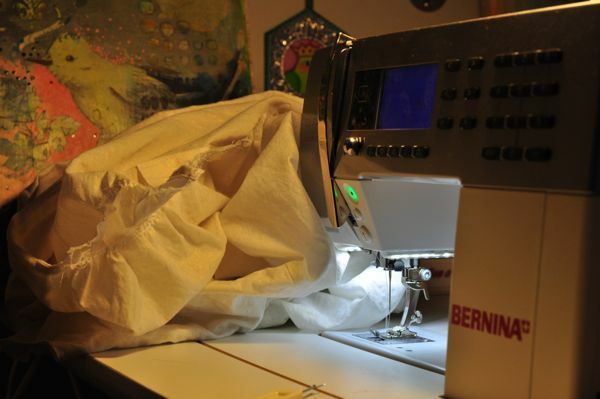 It helps that this Bernina 550 replicates buttonholes with advanced and simple controls! Ha. 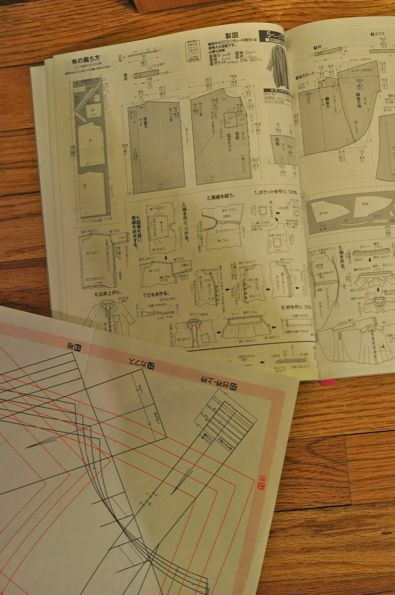 So, I posted to facebook my pure joy at finding a Japanese Pattern Book and wanting to sew from it. 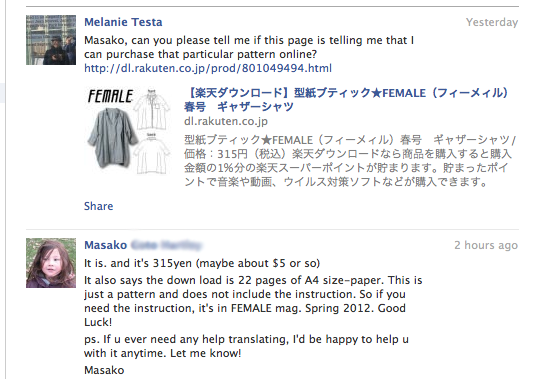 Cricket piped up that Masako might be able to help me interpret the pattern book! Um, excitement. Masako speaks and I presume writes in Japanese. I have lots of questions and we have made a date! And just so you have it, and if you want to purchase it and sew…along…with me, here is the link to the pattern. 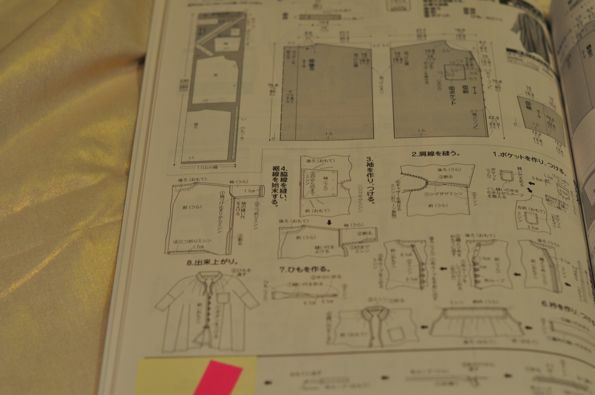 You will also need the magazine, which gives full illustrations of how to approach sewing the garment together. You can just purchase the magazine, though. It has a full sized pattern tucked into the back (mashed up with all the other patterns in the magazine). You will just need to trace it off, add seam allowances and then start cutting. What I love about the illustrations are that if you know anything about clothing construction and pattern making you can figure out how to draft your own version of the pattern, the illustrations give that much detail. I sure wish the U.S. would make the switch to centimeters. Today I will wash the cloth and finish tracing the pieces and adding seam allowances. I like having the ability to decide what my seam allowances should be. I think that American patterns generally cater to an odd mindset. I don’t understand using a 5/8th” seam just to fussily cut it down to a 1/4″. 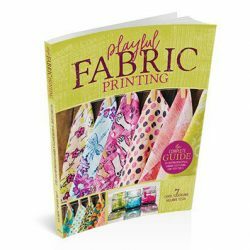 Shouldn’t you just learn to sew a 1/4″ seam? 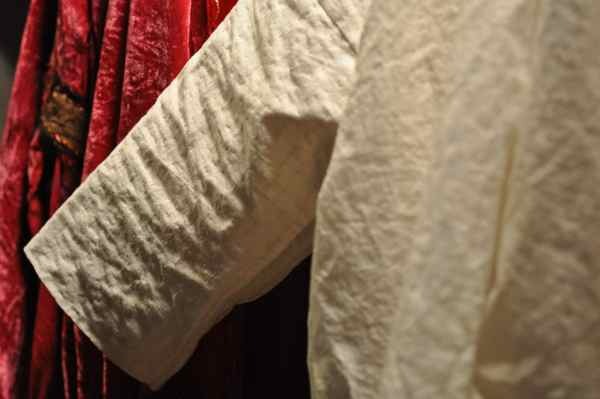 Beside which, when I was a sample cutter and learning to sew, the professionals used a 1/4″ seam in almost every instance, except for special instances, like sleeves, where a 1/2″ was used. And because stretching is my part time job, and we mentioned OCD tendencies, I show you my stretch log and my helpful stretching sticks. So, what do you say? Would you like to do a sew along with me? 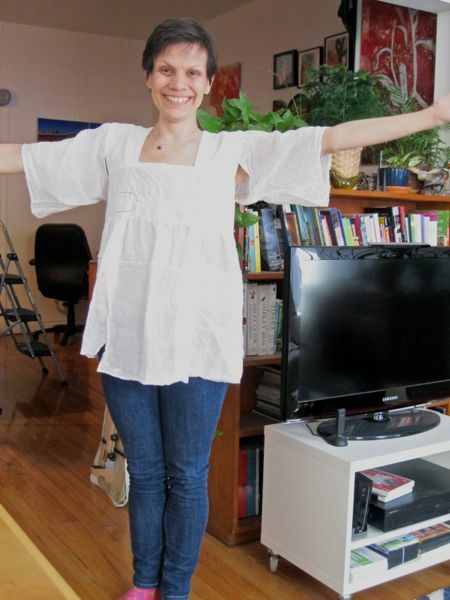 You don’t need to make this blouse, you can make any blouse you would like. Or dress, or…?? If you would like to do this, I will create a Flickr group so we can share our photos in a single place. Leave a comment if you are interested. I think I have figured out that I can purchase the pattern online and print them out on paper. I have an acquaintance who speaks and reads Japanese. Now, I don’t want to a pesky, but. I am on a mission with this shirt. It contains surface design possibilities. 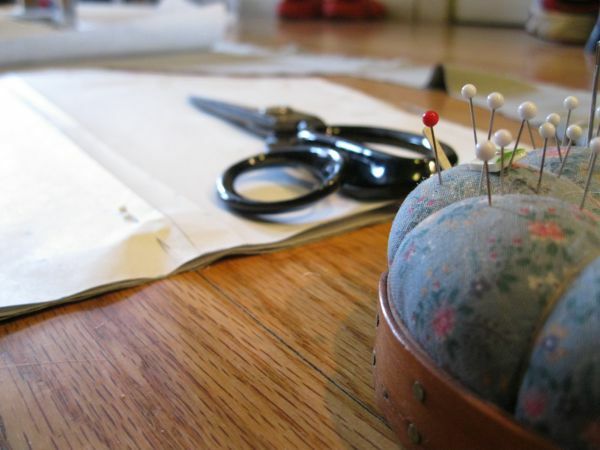 Here is a helpful pdf by Batty Chan and this list of translated sewing terms off Karen Boyette‘s site. 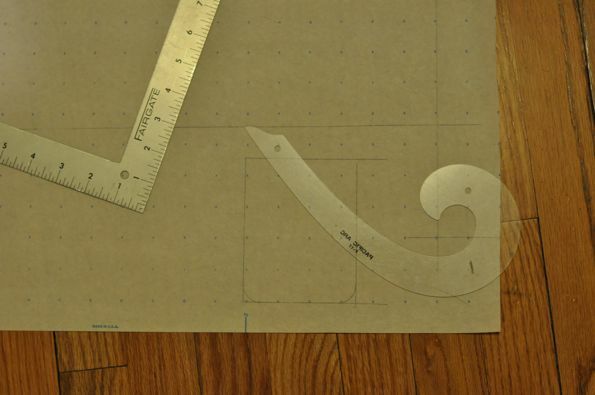 Last night I found myself working out the pattern pieces, measuring, checking, cross referencing and I realized something. I have been struggling with the limitations of my circumstance. Having had to take chemotherapy, I found that I was struggling to put sentences together, couldn’t stay focused in reading a single book and was feeling out of control. This type of loss of ability is frightening. But I know that if you try to open new pathways in the brain that activity and compensation will often occur. I think it is funny that I have gravitated to a meticulous, beautifully rendered, form of communication to help me through this portion of my recovery. Last week I went to Kinokuniya books with a friend. She, of course, knew where the sewing magazines were. Me, I knew where the sewing and textile design books were, but being ignorant of the Japanese language, I have no idea what magazines are what (and they are wrapped in plastic which is problematic). I am so glad me and my gal went to the store together! She also sorta twisted my arm and forced me to buy the cloth. Ahem. I bought the one sewing magazine that was not covered in plastic, called Female. I fell for an outsized, light and flowing shirt that looks comfy beyond belief. The iridescent cloth to the left of the magazine is intended for this project. The iridescent cloth is perhaps lawn, and the iridescence is, well, glued on somehow. I assume it will wash off and I look forward to watching the process occur. I did a hand washing sample and it does seem to lift off the cloth so I am prepared. I don’t mind, I will have fun making wearing and experiencing the life of this cloth. I need to figure out how to read the pattern. It won’t be too difficult, the illustrations are really well prepared and I can figure centimeters out. My one main concern is, wash the fabric first (this is my quid pro quo), or after, because I could wear it in its full iridescent glory once! But yeah, who knows what finishes they put on the cloth, I should just wash it, right? P.S. Thanks so much for coming back!